Many of our Saturday Club members and supporters are already shopping on Amazon.com — there’s nothing you can’t find on Amazon! 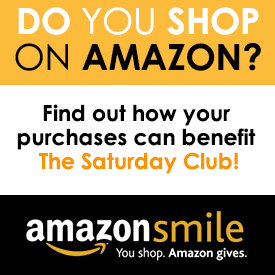 But did you know that every time you shop on Amazon, you could be benefiting The Saturday Club? You can support The Saturday Club every time you shop, at no cost to you – when you shop Amazon through AmazonSmile. Choose us as your charity, and Amazon will donate 0.5% of your eligible purchases to The Saturday Club. To begin shopping for The Saturday Club, you only need to select us as your charity one time, then remember to use our Amazon icon at the top of our website each time you shop. That’s it! 1. Choose “The Saturday Club” as your charity. To designate TSC as your charity, click this link: smile.amazon.com. 2. 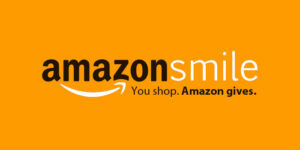 Shop through AmazonSmile. Once you have chosen your charity, Amazon will remember this for future visits; you do not need to select your charity each time you shop. However, you DO need to begin your shopping session by entering Amazon through http://smile.amazon.com. You can do that by clicking the small AmazonSmile icon: at the top of every page of our website, or simply clicking this link. You can also bookmark http://smile.amazon.com for your convenience. If you begin your shopping session by going directly to amazon.com instead of AmazonSmile, your purchases will not be tracked through AmazonSmile and we will not receive the donation. You can be sure you are shopping for The Saturday Club by looking at the top left of your screen while you are shopping on Amazon. You should see the AmazonSmile logo, and The Saturday Club as your supporting charity. AmazonSmile is an excellent way for The Saturday Club members and supporters to contribute to our organization and mission without having to give up any extra time or money. We thank you for your support!